Quezada really had a hard time fighting the fellow undefeated boxer Ryan Karl Tuesday, September 27, 2016, at Buffalo Thunder Resort Casino in Pojoague. 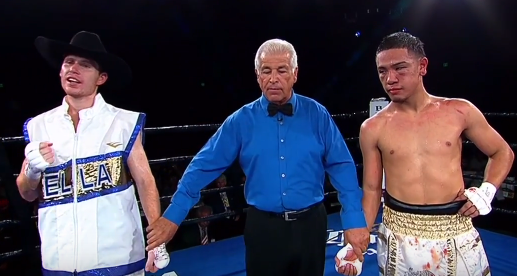 Ryan Karl power was too much and Quezada down in the 2nd round and the 4th round. However, Quezada is still standing but the corner of Quezada stopped the fight to cease further damage. Ryan Karl remains unbeaten and improved his record to 13W with 9 big victories by way of KO while the Fil-Mexican boxer tasted his first defeat and dropped his record to 11W(6KO)-1L.